The SF-Bay Area Chapter participates in the Internet Corporation for Assigned Names and Numbers (ICANN) community as an At-Large Structure (ALS). 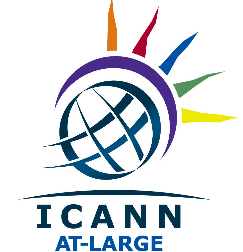 Within ICANN, the At-Large Community acts on the interests of Internet users and works to ensure that the Internet continues to serve the global public interest. ALSes are grouped together on a regional basis in Regional At-Large Organizations (RALOs). The SF-Bay Area Chapter is part of the North American Regional At-Large Organization (NARALO). NARALO encompasses all Internet end-users in the United States, Canada and Puerto Rico. Together with other regions, it has a direct impact on the ICANN’s direction and works to ensure that the expansion of the Internet serves the public interest. The following is an extract from the NARALO end of year newsletter. Please see the full version of the newsletter on the NARALO website. We like to take this opportunity to provide our NARALO membership a end of year message on behalf of Judith and myself. Our election process was open and transparent and for a second year myself as chair and Judith as secretariat return to our positions. We also saw Eduardo as NOMCOM rep and Garth as ALAC for the second year. Lastly. Louis and Alan election resulted in soldifying Alan’s position and he has the two year mandate to complete his work as the ALAC Chair. It has been an exciting year of ICANN and NARALO as we saw the historical transition from NTIA to a oindependent ICANN. Many of our membership watched and participated with the process over the many months leading to the culmination in October 2016. NARALO has been working on updating a number of things, Rules Of Procedures, NARALO brochure, NARALO slogan and the forthcoming General Assembly in April 2017 in New Orleans. A key operational effort with John More as pen-holder has started on revamping our Rules of Procedure to inline with the other RALO’s and making many of our processes and procedures clear and definitive. The second phase of the successful captioning pilot is going into the second year, spearheaded by Judith Hellerstein. Many of members provided critical feedback to revamp the fellowship program and we have seen changes that for the first time will include our communities eligible to apply for the fellowship program. This is the first time in ten years we will see this happen. Kudos to all that campaigned the cause of making the project more inclusive. Looking back we also implemented the mid term report in Helsinki and the year in review in Hyderabad providing a report on the progress of our RALO. SFBay Area ISOC Chapter celebrated our accomplishments in 2016 at a board member’s dinner in Palo Alto California on December 1st . This year, we recognize increased membership engagement, successful regional community events, representation at several conferences, closer working relationship with Global ISOC and strategic partnerships with ICANN, ARIN and Silicon Valley organizations. Additionally, we value ISOC’s Beyond the Net grants awarded to us in support of our events and projects. These accomplishments in conjunction with the recently introduced SFBay Sponsorship Program and Working Groups provide a strong foundation for continued success in 2017. Special thanks to Vint Cerf for supporting our IoT conference, all the partnerships and the Board Members for making 2016 a great success. Read the full NARALO Newsletter here.